I honestly thought you guys were trolling when you kept saying Munbase instead of Moonbase. As in it looks like you didn't buy it? Try exiting your account and re-logging? Did you transfer the game from a squad account or you bought it directly on Steam? Do you have proof that you bought the game? Sorry for the question avalanche, but my old bug report habits are coming back. The new scenarios and tutorials are interesting to go through. Of course, you still have to manually set up the firing sequence on a multi-stage monstrosity... Add to the insult of the solid fuel boosters not separating like they're meant to, and I get fustrated with the First Try Express. What? That's like, half the fun! (Both setting up firing sequence and failing explosively). Also, neat trick about staging, you can modify your staging in flight or on the launch pad. I had no idea there were new scenarios and tutorials! EDIT: Aww... I thought you meant there were new tutorials and scenarios added in 0.20. I forgot you only JUST got the game, Lethosos. Nah, I got it weeks before the update. There were no scenarios AFAIK, at the least. 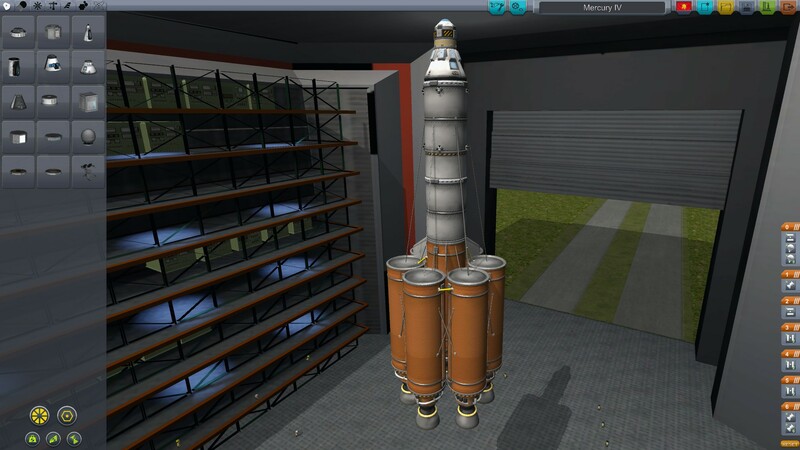 I'll go give the First Try Express an another go later today, perhaps add some stabilizers to the second stage so that it doesn't wobble like a drunk astronaut. Might tighten down the keybindings, too. Tried that, bought on steam, could probably find some. In steam, if you open the client's main menu (the one with library, store etc tabs) and click name's Account in the top right corner and click account details, it shows your license purchase history. Anyone else having issues with maneuvers in .20? Before the patch I could get a ship into 100km orbit no problem, but now trying to get it to do a circularize maneuver is near impossible and usually ends with reentry anyway. Even getting mechjeb only works if I have it do the work, and it still fails if I try to get anywhere near the mun. Do you still have the confirmation email? And/or find the purchase record with whatever you used to pay for it? Hmm, my Mercury IV didn't have trouble getting up there at all, although a technical problem concerning heat made me lose half my deltav. Mainsail under an orange tank, am I right? Little more than just that, it's simply a rockomax-sized asparagus rocket. Oh wow, I was using the wrong account. I've got the deltaV to spare easily, but when I create a prograde manuver at the apoapsis to circularize it, it either starts messing with the inclination instead of shifting out the periapsis or the whole orbit path starts shifting as if the gravity well of kerbin is shifting. Sounds weird... I never touched much of the maneuvers, mostly used gut feeling and angle charts on the Internet. Uh... you're using the right sliders, right? Yes. It's not hard, but for some reason mine just keep shooting all over the place. Even fixing it by messing with the other sliders still gives me a completely different burn result than what it predicts, usually a very fatal one. On the plus side I just got to the mun twice by having mechjeb get me halfway there then manually shooting straight towards the mun once it screwed up and said my next node was a 67 year burn in 68 years... Got a kethane scanner in a near polar orbit 10km out and just dropped a miner rig. The rover is on it's side (but completely intact!) because the damn SAS decided I needed to flip upside down 1km from the surface and I wasn't fast enough to completely get it back under control before touchdown and the lander 'sploded.